I exclusively use doTERRA essential oils and am a proud wellness advocate! If you are interested in using oils in your home please contact me and I would be more than happy to help you start your journey in anyway you feel comfortable. doTERRA offers so many benefits including earning income from home, if you would like to join my team and become an EO expert click HERE. Everyday I diffuse in my kitchen. It's the center of our home and where I pass through the most and I just love getting a lift of energy and knowing its acting as an air purifier. I always use citrus oils ( orange, lemon) in the kitchen to make it smell clean + fresh but in the fall months especially I turn to blends with cinnamon + evergreen and clove. I use a couple drops of lavender in the kids' bath whenever I feel they're having a hard time winding down for the day or have been fighting. A few drops goes a long way + acts as a mini spa bath for them. Lavender diluted is amazing for soothing irritated skin including itchiness and sunburns. My kids are great sleepers and always sleep through the night but on the occasion that they don't or bedime has come earlier I diffuse cedarwood + lavender. Knocks them straight out! 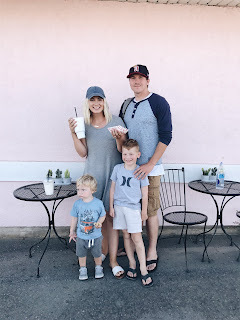 My husband and I have sensitive tummies and whenever we eat something that doesn't sit right with us we turn to Doterra's "Digestzen" blend. It's the best. The smell is harsh and a little unpleasant so I highly recommend getting this in gel capsule form! But topically on the stomach works just as good. Don't plan on leaving the house though it's strong. The boys just woke up with a cough today + tonight I'll be diluting a drop of "breathe" from Doterra with coconut oil and rubbing it on their chest and neck for a little relief or diffusing it. It acts like Vicks but is less abrasive. I've recently read things on Vicks that make me steer clear from it for kids but its personal choice! The other night my girlfriend hosted a little craft night where we made scrubs + lotions with oils! She helped me make a blend of eucalyptus, cinnamon + lemon. It's my favorite right now. It was coconut oil, vitamin E and oils. I have been using it after I get out of the shower everyday! Cooking! 1 drop of black pepper, lemon, lime or any other oil goes so far and will really enhance your food. I love to cook salmon wrapped in tinfoil with 1 drop lemon and a slice butter on top. Perfect flavor! You can make your own house cleaning supplies as well! "Onguard" from Doterra is an amazing blend for cleaning and preventing illness. 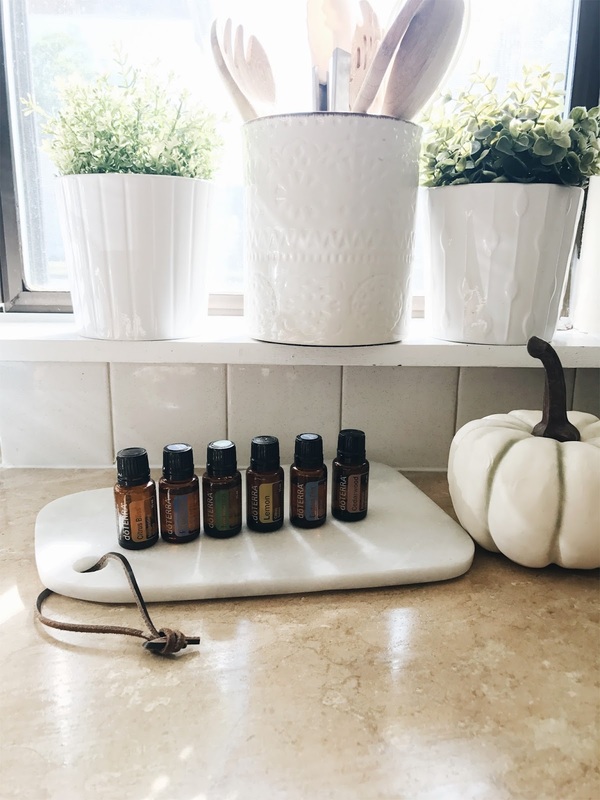 I diffuse it all the time during cold + flu season and it has replaced the household products I used to buy religiously at Target and the grocery store. No more toxic chemicals! Most the oils I mentioned and use daily conveniently comes in the HOME ESSENTIALS STARTER KIT! It also comes with my favorite diffuser so it is honestly the absolute best option for beginning your journey will oils and will have you set up for months. There is no requirement to order monthly or to sell, so you have nothing to lose! This kit retails at over $366 but when you sign up as a doTERRA customer or wellness advocate you get it all for only $275 as well as everything at wholesale price.